ATAP thanks Florida Governor Rick Scott for signing the Prescription Drug Pricing Transparency legislation into law on Friday. The law will allow pharmacists to share whether the retail price of a drug is less than the amount a consumer would pay under their insurance, preventing Florida consumers from being overcharged when they purchase many prescription medicines. On behalf of the Alliance for Transparent and Affordable Prescriptions (ATAP), I am writing to express our support for HB 351, a bill that seeks to increase transparency and regulation of pharmacy benefit managers (PBMs), and urge you to sign it into law. A House committee opened hearings Tuesday on a bipartisan bill designed to lower the cost of prescription drugs.House Bill 479 — sponsored by Reps. Scott Lipps, R-Franklin, and Thomas E. West, D-Canton — takes aim at pharmacy benefit managers, known as PBMs, and other third-party administrators that operate as a middleman between insurance and drug companies. ATAP is pleased to report that a Florida bill aimed at regulating PBMs has passed unanimously through the House and Senate and now heads to Governor Rick Scott. ATAP is pleased to announce that New York has become the newest state to pass PBM reform legislation. 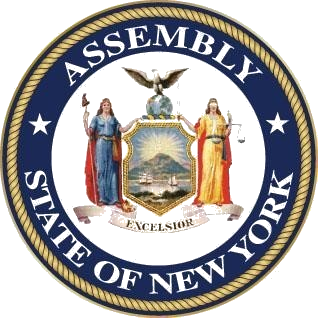 Sponsored by Assemblymember Linda Rosenthal, A8781 was passed unanimously by both the New York House and Assembly and is waiting to be signed into law by Governor Andrew Cuomo. The Alliance for Transparent & Affordable Prescriptions (ATAP) is encouraged by UnitedHealthcare’s announcement that it will start passing on savings from drug manufacturers directly to patients by applying manufacturer rebates and discounts to their medication costs at the point of sale.